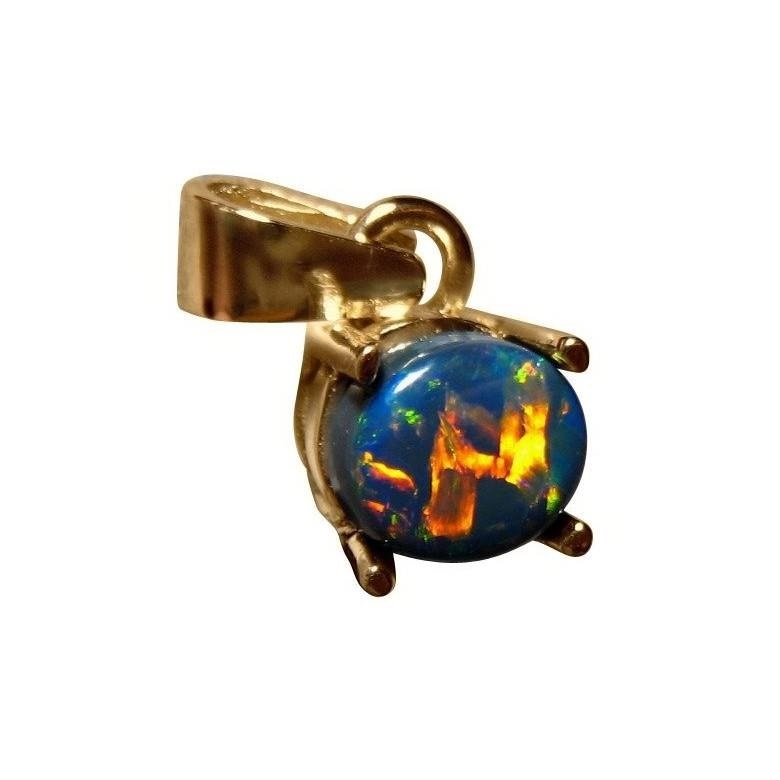 A Black Opal Pendant with a unique and striking Harlequin Opal in a simple 14k Gold setting. In stock and ready to ship. 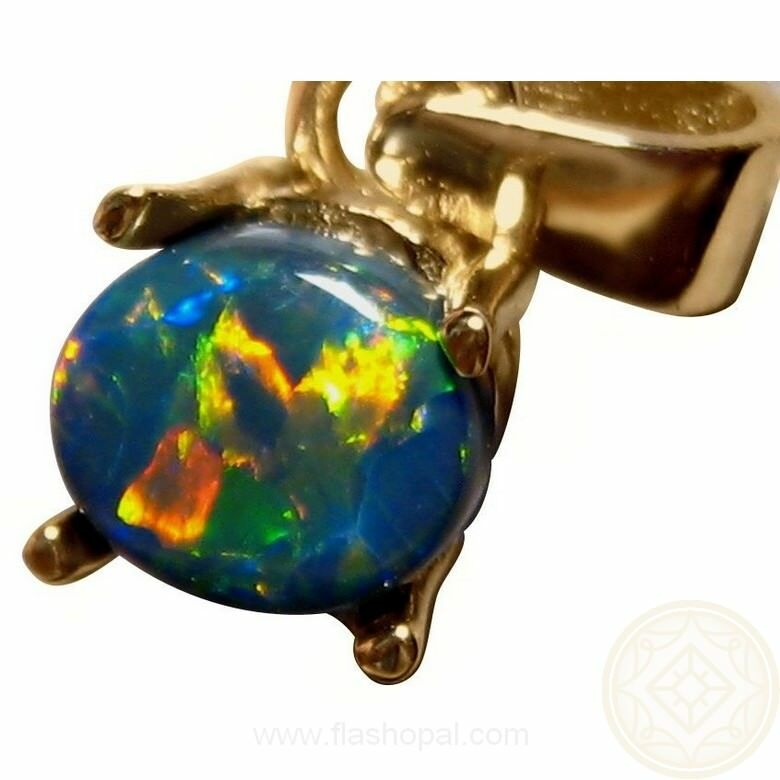 This pendant may be small, but the natural Lightning Ridge Black Opal stands out with its striking unusual pattern showing an 'N' in the center. 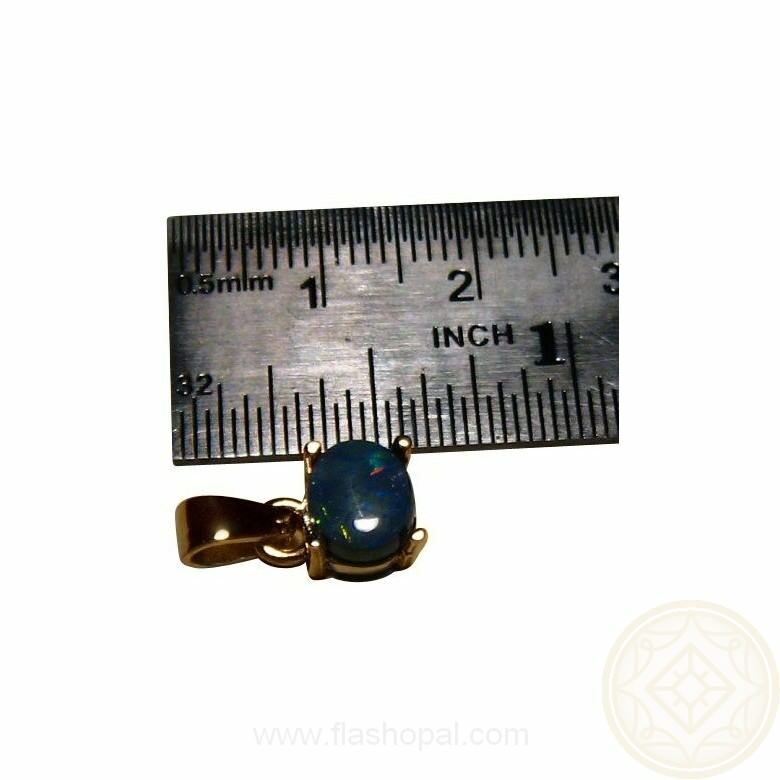 One carat in weight with very bright Red and Green flashing in a Harlequin / Block pattern on an N2 base and is suited to a pendant only as the color is directional. 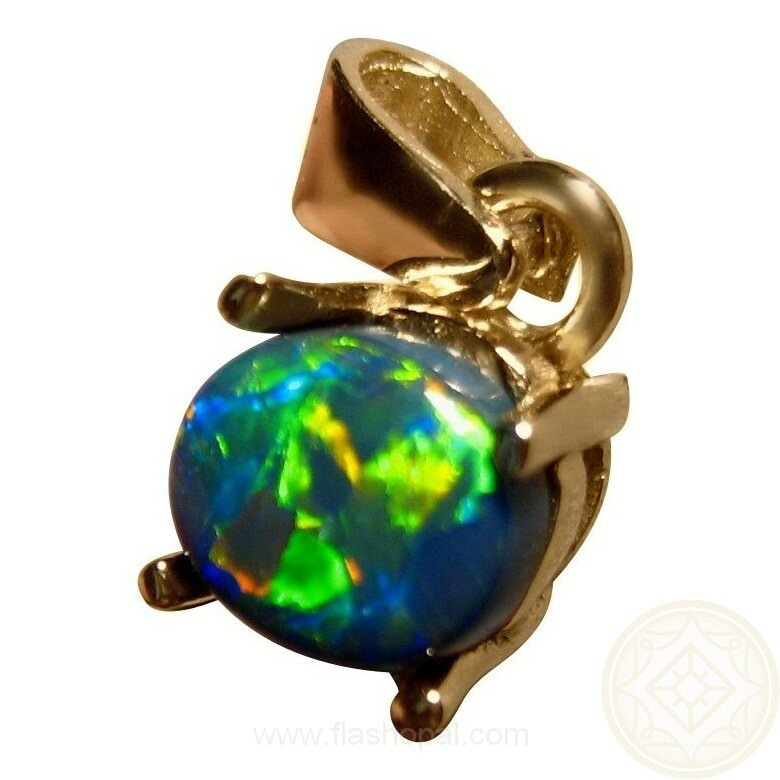 It is ready to ship in 14k Yellow Gold or will take 7-10 days for White or Rose Gold before this exact stone will be set and the pendant shipped. 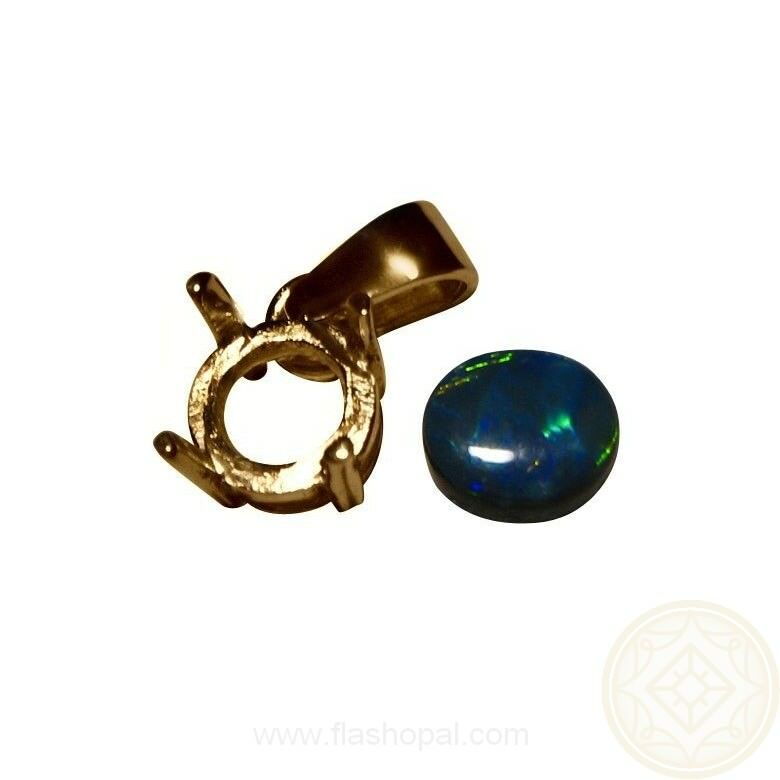 As the Opal is not yet set, you can have it in a different pendant setting and make your inquiry by contacting through this product page.